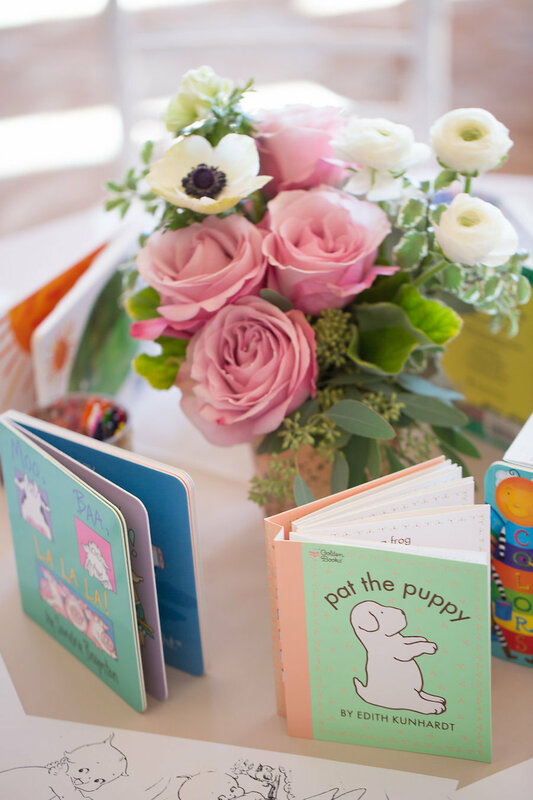 We loved planning and designing baby Isabel Max’s blush baby naming at the Hillcrest Country Club! Keep reading for all of the adorable details. 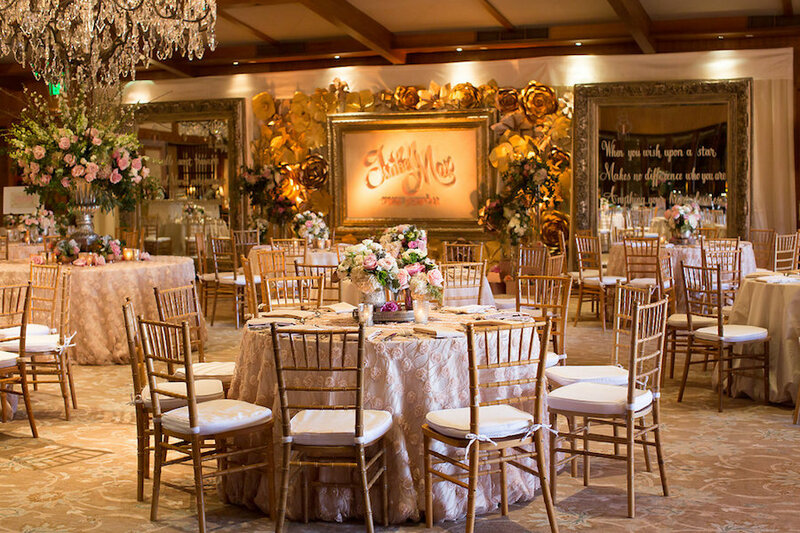 Guests entered the room to find round tables in blush linen, some draped using feminine overlays with textured rosettes. 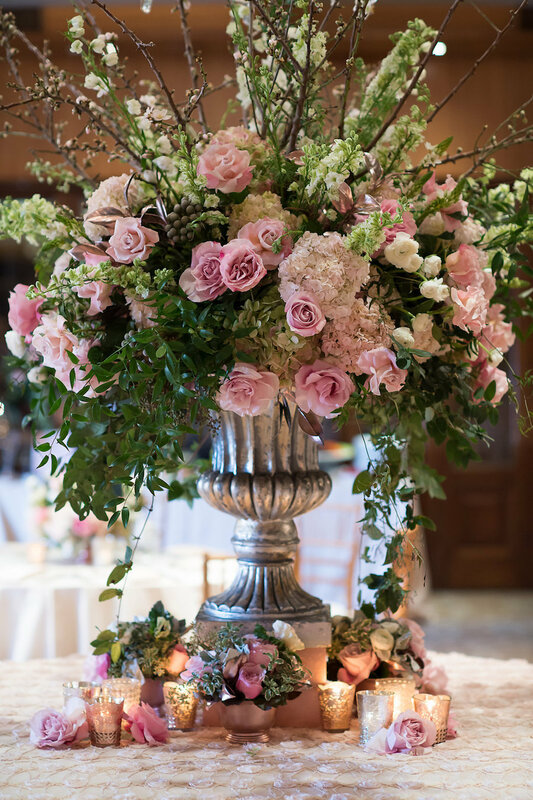 Our centerpieces were designed of pink garden roses, cream spray roses, and greenery in silver leaf vases and containers. 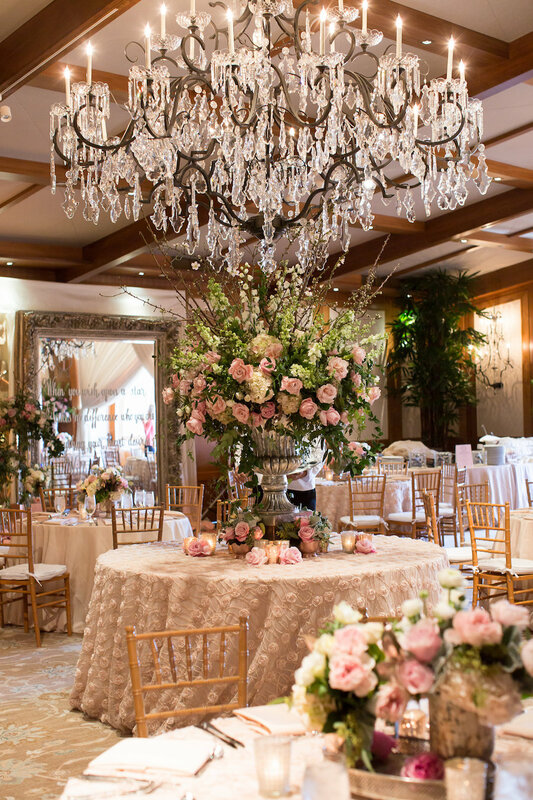 In the center of the room, a grand silver urn was filled with blush and pink roses, hydrangea, spray roses, lush greenery, and cherry blossoms. Always thinking of our littlest guests, we included activities such as face painting, balloon designing, reading, and coloring! 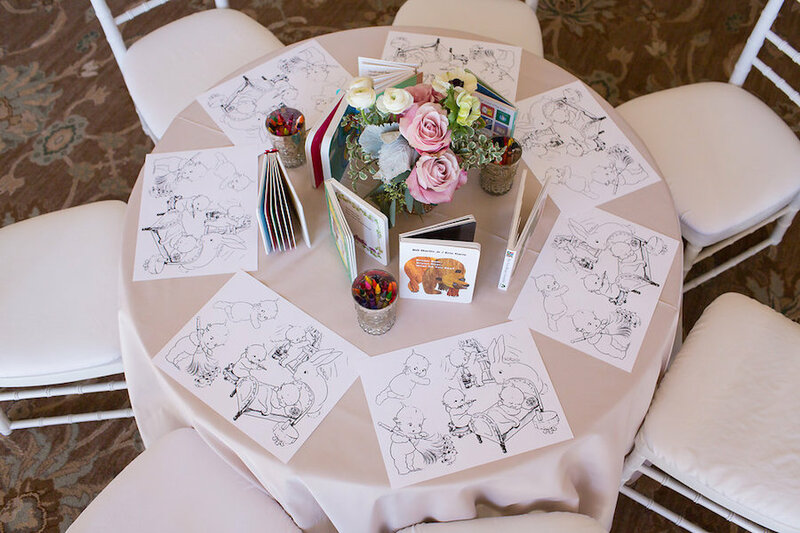 The table featured a few of our favorite classic childhood books and coloring pages to decorate with. Each seat included a custom designed coloring placemat with an abundance of crayons. To highlight our guest of honor, we featured the newborn’s name in pink lettering which we encased with a light pink backdrop and brushed gold frame. Surrounding the display were elegant flowers that were brushed in gold and rose gold along with additional flowers from the centerpiece. Thank you to Justine Ungaro for capturing the blush elegance of baby Isabel Max’s special day!